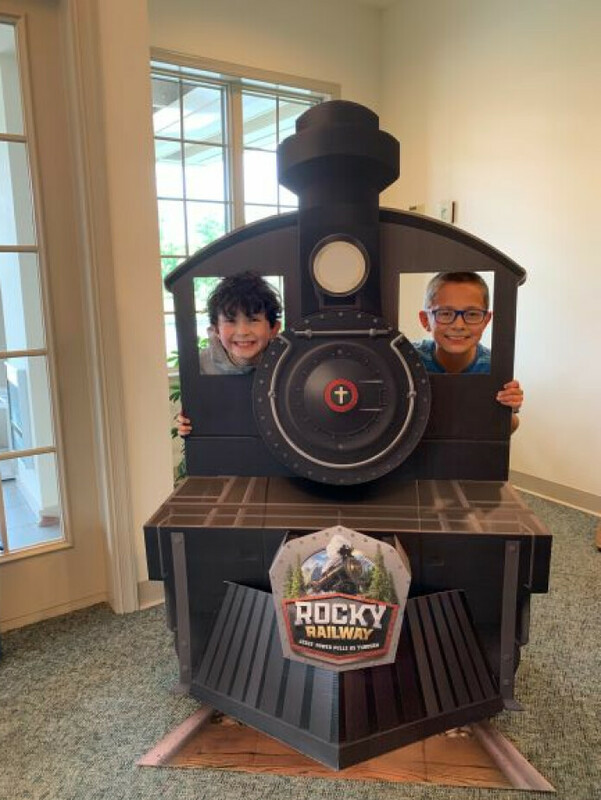 Our Vacation Bible School seeks to instruct children in biblical truths and to reach out to families in the community with children age 4 - 4th grade. Save the date for Covenant's 2018 VBS and plan to join us on June 24-28 from 6:00-8:15 P.M. This year's theme will be Shipwrecked: Rescued by Jesus. There is no cost and all friends and neighbors are welcome to join in the fun while kids become anchored in the truth that Jesus is able to help them weather every storm in life, including the need for rescue from sin. VBS 2018 registration forms may be given to Sharon Muhlfeld or brought to the church on the first night your child attends. The theme for 2017 was Maker Fun Factory and children learned about God's creative power and how He crafted each of us for His own purpose. Bible stories, songs, games, crafts and fun snacks enhanced the week.